Dell's Maraschino Cherries, the cherry supplier for chains including Chick-fil-A, TGI Fridays and Red Lobster, was revealed to be involved in an underground drug operation, reports the New York Daily News. In a tragic twist of events that feels ripped from that pages of an HBO script, longtime owner Arthur Mondella committed suicide on Tuesday after police discovered evidence of marijuana at the cherry factory. Police say they had originally been at the cherry plant to investigate the factory's environmental impact on the surrounding area. However, after Mondella's death, police reportedly found 80 pounds of marijuana and an immense amount of cash in the factory. Entering a secret entrance leading underneath the warehouse, sources told the Daily News that police additionally discovered a marijuana-growing operation and pricey vehicles including a Porsche, a Rolls-Royce and a Harley-Davidson motorcycle. 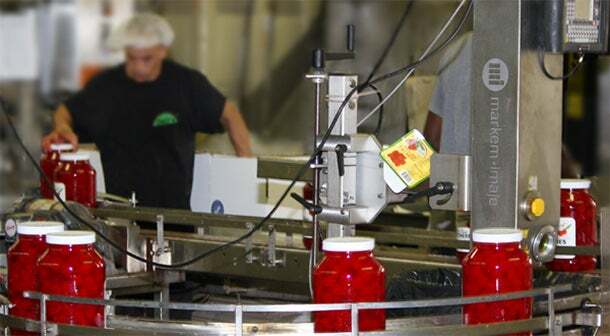 Dell's Maraschino Cherries was founded in 1948 by Mondella's grandfather, Arthur Mondella Sr., and his father, Ralph Mondella. The company, which processes more than 14 million pounds of cherries a year, recently completed an identity revamp in 2014, which included modernizing the logo and updating its manufacturing site.